Exclusive to Design Within Reach. Made out of 100% recycled materials. Only 50 available. Made from unworn, overstocked flip-flop sandals. It&#146;s usually all about Orpheus. But Chicago playwright Sarah Ruhl has taken the ancient myth of the sweet singer who braves the terrors of the underworld to rescue the girl he loves and stood it on its ear. Eurydice, at Berkeley Rep, is the story of the girl. And, dearly as she loves her husband, the most important man in the story &#150; and her life &#150; just may be her dear old dad. By inventing a father for Eurydice, Ruhl has deepened what might be seen as just another love story into a genuine dilemma. What really happens when a young girl leaves her father&#146;s home for her husband? Granted that Eurydice&#146;s father (Charles Shaw Robinson), is dead, but so is she. When Orpheus leads her slowly back up to earth, loud noises erupt and terrifying lights flash. 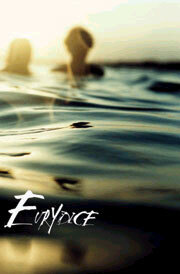 Eurydice is nearly paralyzed with fright and this fear becomes the heart of the matter, the crux of the play. Does she unconsciously tempt her lover to look back at her, violating his bargain with Hades, so that she can go home to daddy? The underworld is no place of smoldering fires and taunting demons here. New arrivals come by elevator. Inexplicably, it is raining in the elevator. At first, Eurydice thinks she is in a hotel and that her father is the bellboy. There are no rooms in death&#146;s kingdom but her father builds her one out of string. Among Ruhl&#146;s inventions is a kind of after-death postal service. Eurydice&#146;s father writes her a letter on her wedding day, which ultimately leads to her death (by falling downstairs, not snakebite as in the myth). The bereft Orpheus (Daniel Talbott), who would rather compose a symphony than write a letter, writes to her of his grief. The missives are pasted on the wall for the wind to take or given to a passing worm, in hopes that they may reach their mark. And they do. At first, having dipped in the river of forgetfulness, Eurydice cannot read them &#150; or even remember the man who sent them. But the sympathetic shade of her father helps her in this, as in all other things, and soon father and daughter are sitting on the floor, trading words and memories as if they had never died. This is a play about words as much as it is about love and the playwright&#146;s passion for language comes through loud and clear. The anti-language contingent is represented by a trio of stones, played for laughs by Aimee Guillot, Ramiz Monsef and T. Edward Webster. They want Eurydice and her father to speak only the soft, almost inaudible language of the dead but the two resist. The stones act as a kind of Greek chorus, providing comic relief to what might otherwise become a deadly serious affair. Also humorous is Mark Zeisler, first appearing as a Nasty Interesting Man and later as the immature, tricycle-riding Lord of the Underworld. In both guises he unsuccessfully tries to seduce Eurydice away from her true love. Maria Dizzia is a charming Eurydice, in love with words, in love with books, in love with life. That she also is in love with Orpheus, the leading musician of his time (shades of rock star infatuation) seems almost incidental. Master director Les Waters (Yellowman, Big Love) has taken all these threads and woven them into a seamless ninety minutes that elicits both laughter and tears. Played out in modern dress (the lovers are like a couple of teenagers in the throes of their first crush) and language, against Scott Bradley&#146;s knockout set of aquamarine tiles, the tragic tale of death and undying love may not be as poetic as in other treatments but it is much more interesting &#150; a word that is used a lot in the script.